Valentine’s Day is next Tuesday, February 14th and Fresno and Clovis restaurants are already filling up with reservations. Because the popular romantic holiday falls on a weekday this year, many people will be celebrating over the previous weekend. If you’re looking to treat your Valentine to something out of the ordinary, check out this list of local restaurants presenting extra special offerings in honor of the holiday. Whether you’re looking to splurge on an unforgettable meal in a romantic setting or “Netflix and chill” on the couch with a heart-shaped pizza and a bottle of wine, we have a suggestion for you! Romantic Evening at School House: If you’ve yet to experience the unique historical setting and delicious variety of food and drinks at School House Restaurant & Tavern in Sanger, you’ve got to get out there- soon! This Valentine’s Day, School House is turning extra romantic, with fresh rose petals and candles on every table. View the special menu and more event details on School House’s website. For reservations, call 559-787-3271 or email reservations@schoolhousesanger.com. Four Course Special at Pane: Wine and dine your date at Piazza del Pane this year. 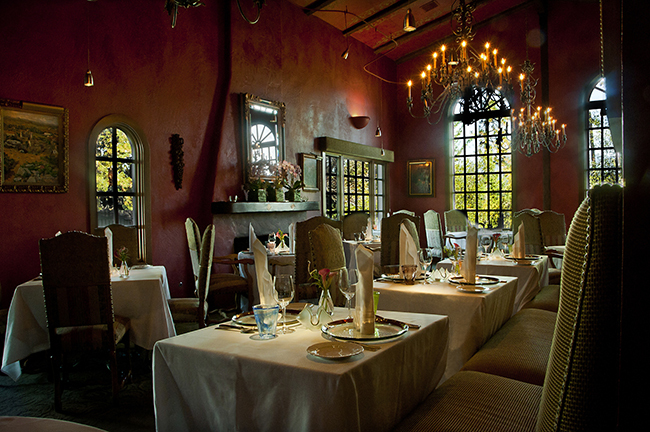 Enjoy a four-course meal with a beautiful Tuscan-style ambience for just $36 a person. For reservations, call Cedar & Nees: 559-436-1076 or Palm & Herndon: 559-229-7263. Wine and Chocolate Tasting: On the weekend before Valentine’s Day, both the Madera Wine Trail and Fresno County Wine Journey will be hosting events themed around wine and chocolate. The Madera Wine & Chocolate Weekend runs from 10:00am to 5:00pm, February 11th and 12th. Tickets are $25 if purchased in advance online or $30 on the day of the event. The Fresno Wine & Chocolate Lovers Weekend is planned on the same weekend, from noon till 5:00pm. For just $10, visitors can visit 17 wineries. Tickets can be purchased at your first stop. Dueling Pianos: This Valentine’s Day, DiCicco’s in Old Town Clovis presents two nights of “The Killer Dueling Pianos.” Special dinner and 21+ drink specials will be offered. On Tuesday, February 14th, there will be a Valentine’s Day themed event from 7:00pm to 10:00pm, with limited seating available. Reserve tickets for $20/person or $35/couple. On Wednesday, February 15th, there will be an “Anti-VDay Comedy Piano” event from 7:00pm to 10:00pm, with limited seating available. Reserve tickets for $20/person. To purchase tickets, visit DiCiccos (408 Clovis Avenue) or www.eventbrite.com. Three Days of Specials at REV’S: Another Old Town Clovis favorite, REV’s California Cuisine is offering multiple opportunities to wine and dine your Valentine next week. First up, there will be a special a la carte Valentine’s brunch on Sunday, February 12th from 10:00am to 2:00pm. Special menu items include Creme Brûlée French Toast, Blood Orange Mimosas and Hand Crafted Bloody Marys. On Monday, February 13th, REV’s California Cuisine invites you and your sweetheart to a romantic evening at Marechal Vineyards in Sanger, filled with exceptional wines and awesome food. Each ticket includes a six course dinner paired with Marechal Vineyards wine. Finally, on Tuesday, February 14th, head to REV’s for a memorable evening and a special Valentine’s Day menu served from 5:00pm to 9:00pm. For reservations, call 559-3247387, and for menu and event details visit Rev’s website. Candlelit Dinner at The Standard: On Tuesday, February 14th, The Standard will be serving a Three Course Pre Fixe Dinner prepared by Chef Danny Luera and Chef Tim Romero. For reservations, call 559-434-3638 and for menu and event details, visit The Standard’s website. Interactive Dinner Experience at The Painted Table: Popular local catering company, The Painted Table, is hosting several romantic meals with some options already sold out. Reservations are still available for a three course seated dinner served on Sunday, February 12th and Tuesday, February 14th from 5:00pm to 9:00pm. The dinner will be an “interactive experience,” featuring love potion themed cocktails and a premium wine and beer bar, along with other surprises. Dinner is priced at $117 per couple. Dinner and a Movie Special: Dai Bai Dang, located at River Park, is offering a special Valentine’s Day meal with movie tickets included from Friday, February 10th through Tuesday, February 14th. For $70, a couple will enjoy two glasses of prosecco or non-alcoholic cider, an appetizer, two entrees, two scoops of ice cream with truffles from Rocky Mountain Chocolate Factory and two movie tickets valid that night or later. Heart-Shaped Pizza: Once again, Me-N-Ed’s will be offering its popular heart-shaped pizza, a large one-topping for $12.95. It will be available from Tuesday, February 7th through Wednesday, February 15th. If you choose this option on Valentine’s Day, remember- you won’t be the only one! We recommend picking up or ordering early for delivery. Upscale Dining at Erna’s: If you’re looking to treat your Valentine to a special splurge this year, there is no better option than Erna’s Elderberry House at Chateau Sureau in Oakhurst. This Valentine’s Day, Erna’s offers the perfect recipe for romance- a dining room filled with beautiful flowers and soft candlelight and a scrumptious dinner accompanied by the sounds of enchanting harp music. The festivities begin on Friday, February 10th with an evening of culinary delight “In the Spirit of St. Valentine.” Dinner will be served nightly from 5:30pm to 9:00pm. On Sunday, February 12th, Erna’s will host their 34th Annual Valentine’s Epicurean, with delectable food and wine accompanied by harp music and vocalist Yulia Ronskaya. Brunch seatings – 11:00am & 11:15am, Dinner seatings – 5:00pm to 6:00pm & 8:00pm to 9:00pm. And on Tuesday, February 14th, a special Valentine’s Day dinner will be served with a Harpist’s Interpretation of Love. Dinner seatings – 5:00pm to 6:00pm & 8:00pm to 9:00pm. See Erna’s website for special holiday menu and pricing details. For reservations, call 559-683-6860. Raymer Team Real Estate wishes you a very happy and love-filled Valentine’s Day!